The frame of the seat is interesting with side pieces that have a very pronounced inward curve. When seen from a normal viewpoint this reduces the bulk of the frame and emphasises the thin piece of plywood that forms the seat and makes the chair look lighter and more elegant. 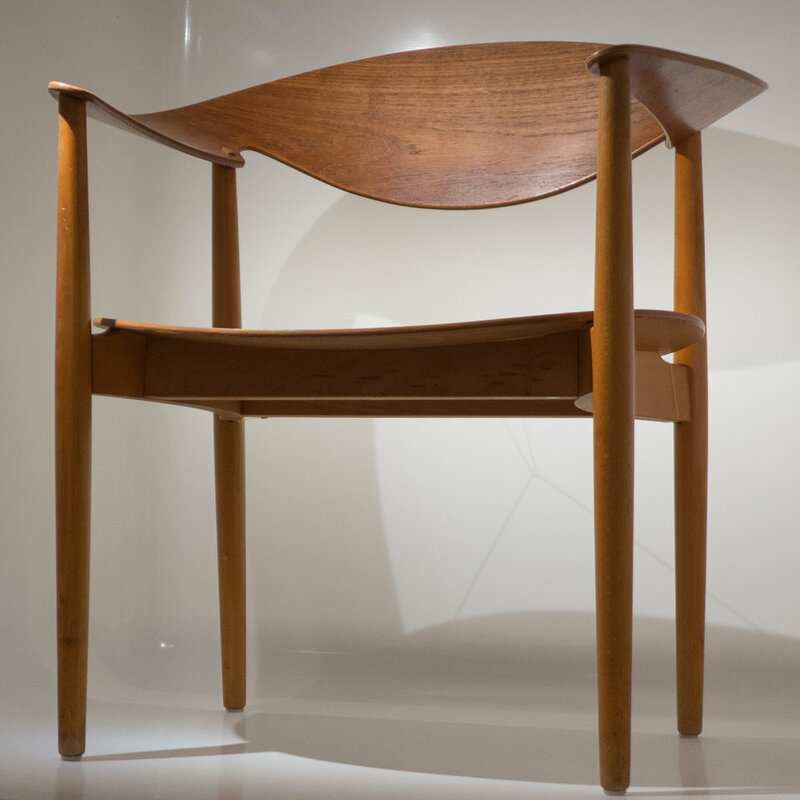 Here the back and the arm rests of the chair are in a single piece of shaped and curved plywood. This is cut from a single sheet and bent and held in place by screws driven down into the tops of the legs with the screw heads covered by plugs of wood. 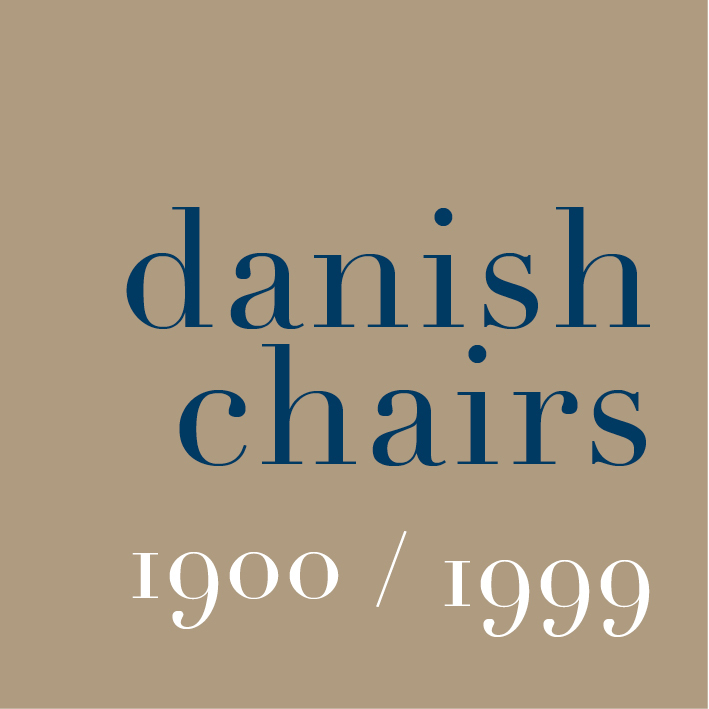 * The first version of The Chair had a seat woven in cane but a year later a version with an upholstered seat was produced. What is interesting is that in that relatively expensive chair, the seat was not given traditional upholstery that would have either been taken over the frame of the seat, destroying the clean lines and elegant curves, or it might have had an upholstered cushion dropped into the frame instead of the cane work but that would have been rather balky. The solution was to use a sheet of plywood resting on simple metal tabs fixed on the inside edge of the frame just below the top with a padding over the plywood - presumably presumably in the original chair with hair but now foam - that was then covered with leather.